Oregon Homebuilt History on Display! OAHS is honored to have the Moore SS3 on display!! A small one seat Oregon aircraft that has never been on public display! This aircraft firs flew in 1982 and was designed and built by Arlen Moore of Sweet Home, OR. We are proud to be the event for it’s public debut!! Arlen was a true craftsman of aviation. 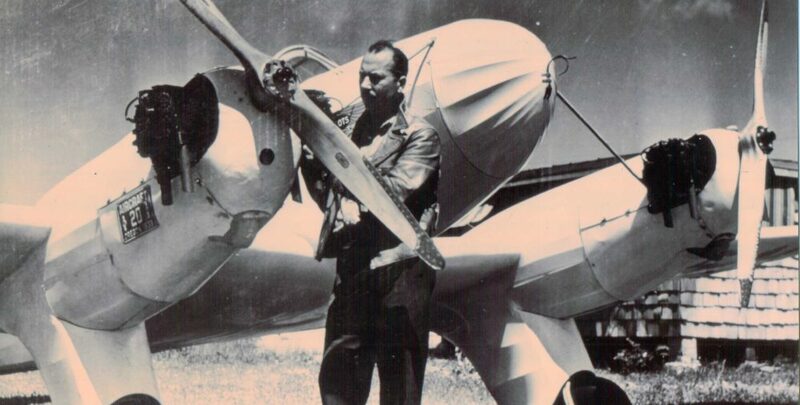 In the early 60’s he built his SS1 glider which he sailed to over 18,00ft and flew from Redmond, OR to Mt. Shasta, CA! Arlen was also instrumental in the development of the aviation activity in the Alvord desert. There will be several other one-off homebuilts on display this weekend as well as many kit build aircraft from across the pacific northwest! Come see the flying proof that you too can build an airplane!! Saturday Sept. 1st: Pancake Breakfast 8-11am, RV3 dedication to follow. Restoration shop open all weekend! AEROBATIC BIPLANE RIDES AVAILABLE SATURDAY!!!! Sunday Sept 2nd: Lunch 11-2pm $7 hamburger/hotdog, chips, drink- to benefit Cottage Grove Chamber Greeters scholarship. Thank you to John Asbury for allowing us to have this amazing piece of Oregon history on display! !